A cyber-bully or a team of them is on the loose with threatening emails. Recently a number of emails have been reported that were aimed at harassing the users with their adult-website consumption habits. The emails have different bodies but they have a common subject line, a password that you have used at some point in the past. This scam has robbed people of hefty amounts. Some have been reported to steal as much as $50,000 from the people with such email. The email threatens to spread the history among the victim’s contacts. This scares the people who are being blackmailed as the shame would be unbearable and they pay these scammers the price that they ask for. 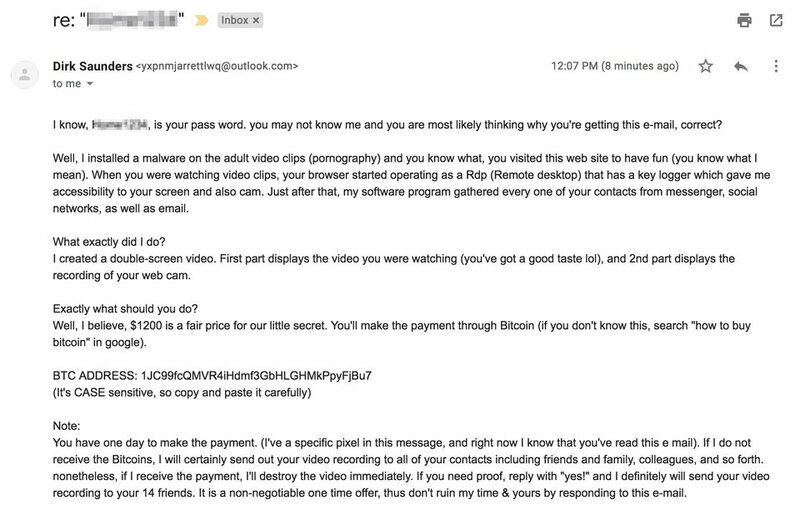 Those scammers claim that they have hacked their webcam and hold the victim’s videos and an easy access to inject malware into their systems. All these claims have been proven to be false as they do not have any sort of information on you apart from that old password that they probably got from a database that’s available online, probably in dark web. You can verify if your password has fallen into the hands of these evil doers via website Have I Been Pwned. They ask for the money in the form on bitcoin worth around $1,200 to $ 1,500. Bleeping computer reported thefts of over $50,000 via this scam. 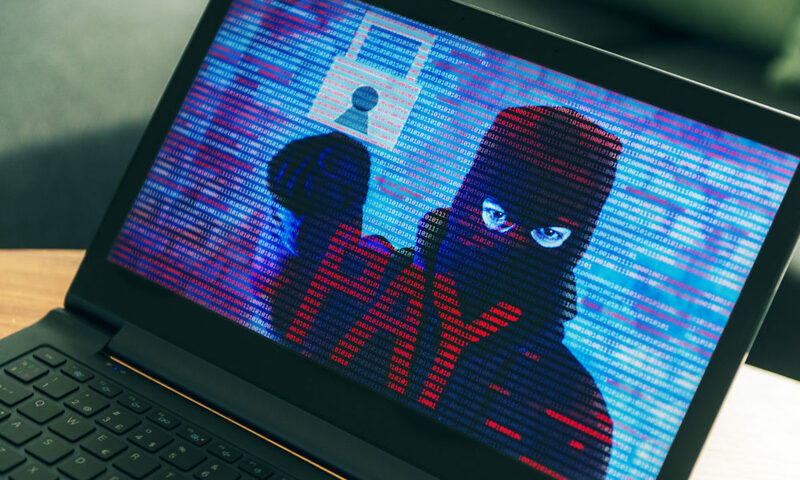 To stay safe from this extortion, you should use the passwords that are lengthy and tough. Have a password manager that would make sure that you have unique passwords for your accounts. Turn on the two-factor authentication for the important accounts. FBI also suggests covering your cameras when not in use. Observe the safety measures and never give In to this kind of criminal threats.